For better or worse, the mannequin challenge is sweeping the internet. And in these troubling, unchartered times, it’s comforting to know that people can still incorporate an internet fad into their lives, even in the throes of childbirth. 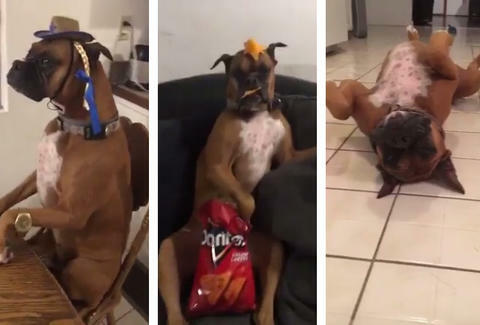 Boston stays motionless while performing a variety of household tasks, including chilling hard on the couch with a bag of Doritos. His owner, Ryan Thomas, posted the video to Twitter, because good dogs have clout on social media.